The most widely anticipated Hajj & Umrah industry event of the year is nearly here! 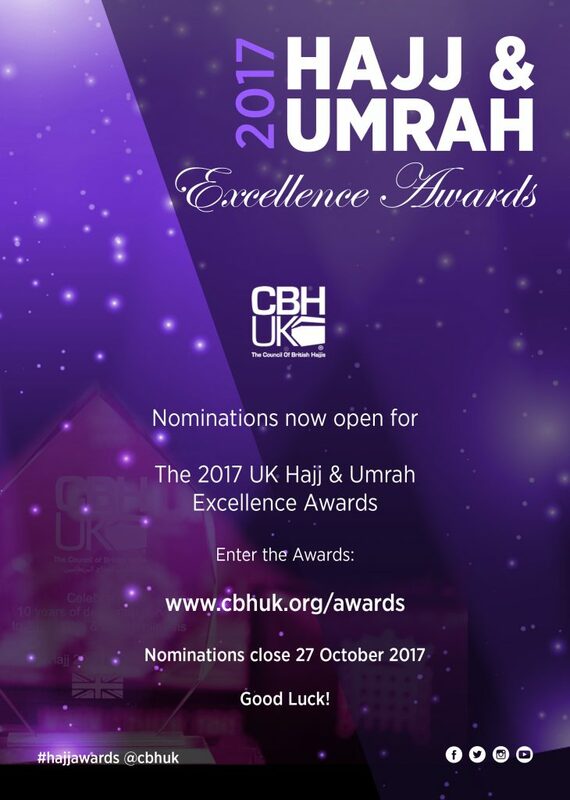 The CBHUK Hajj & Umrah Excellence Awards launched at the CBHUK Hajj Parliament Debrief in 2016 recognises the contribution from within the Hajj & Umrah industry in providing services to British Pilgrims. The 2017 Excellence Awards is set to encompass a much wider recognition of service providers from Airlines to hoteliers and from UK Hajj & Umrah Tour Operators companies to Saudi Hajj & Umrah services providers.